This customer called us looking to replace a small, dilapidated building on his property. 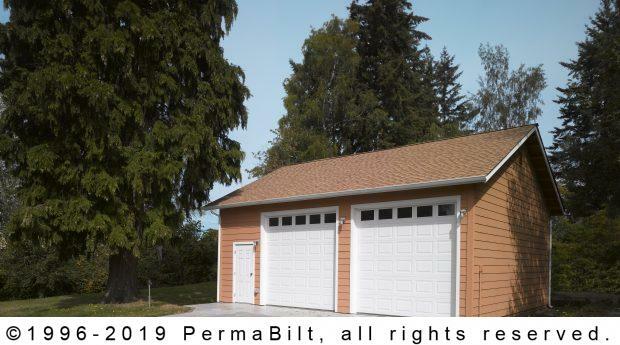 His jurisdictional requirements included having a roof pitch of 5/12 as well as composition roofing and Hardie Plank siding to match his residence. He is a mechanic by trade and also always has a personal car project (or two) going at home. His existing building did not have enough room and he wanted a brand new place to pursue his passion. 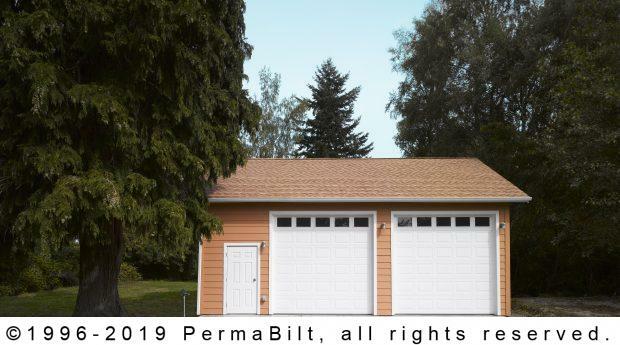 The 10’ tall garage doors accommodate a variety of vehicles with room to spare and the layout has plenty of interior space.